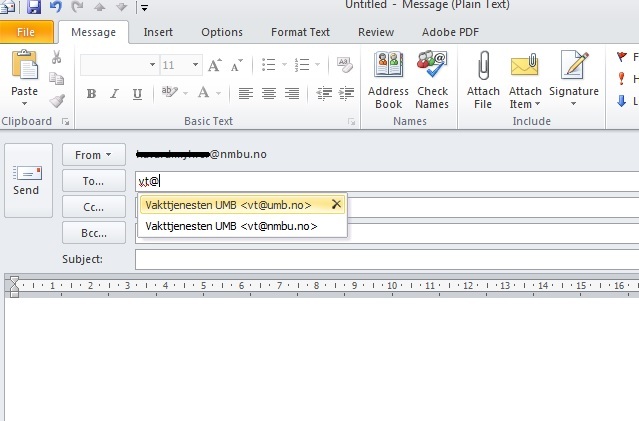 When you start typing the email address, Drag the arrow over the name you want to delete, press the “delete” button (X) next to the e-mail address. If you added NMBU email account to an existing NVH / UMB email account, change folders in favorites if you want NMBU email account shall be under favorites. 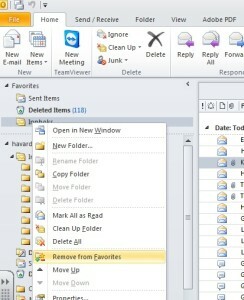 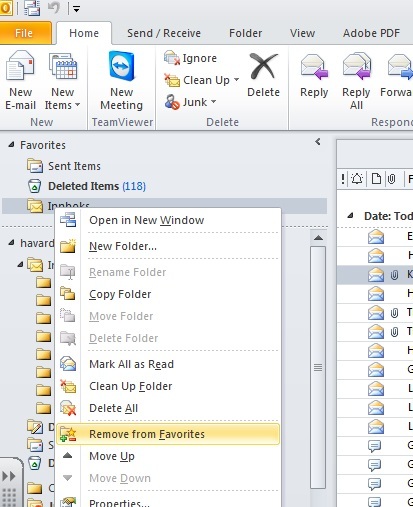 To delete a folder, right click on the current folder and select “Remove from Favorites”. 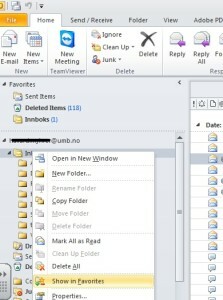 There are many remote sites with good guidance when it comes to the use of Outlook. 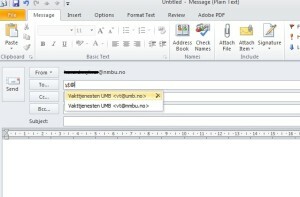 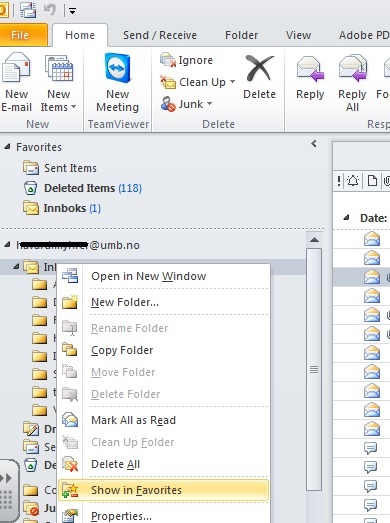 This entry was posted in IT-documentation and tagged E-mail, Outlook, Outlook 2010 on January 7, 2014 by Håvard Myhrer.